A very happy Wedding Cake Wednesday to you! One of my favorite parts of my job is working on photo shoots- they always have such beautiful cakes. 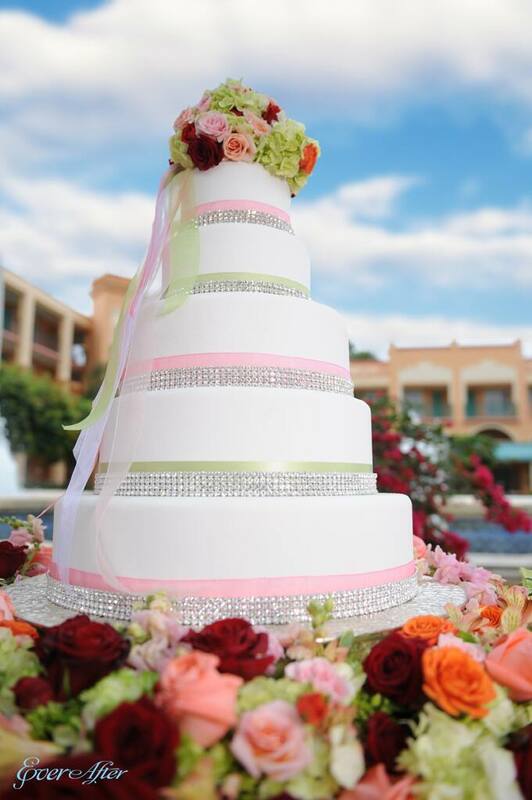 This particular bling cake was used for a shoot we did at Disney's Coronado Springs Resort, and I think you'll agree that both the cake and backdrop are breathtaking. Make it a 'sweet' day!